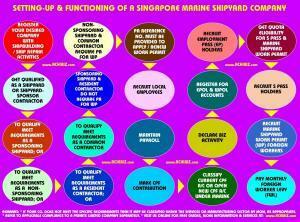 This entity is a very popular in Singapore with its own pros and cons. 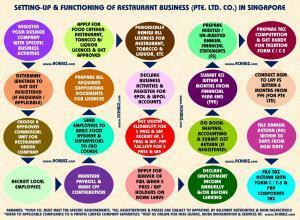 A company that is established locally in Singapore is a private limited company. 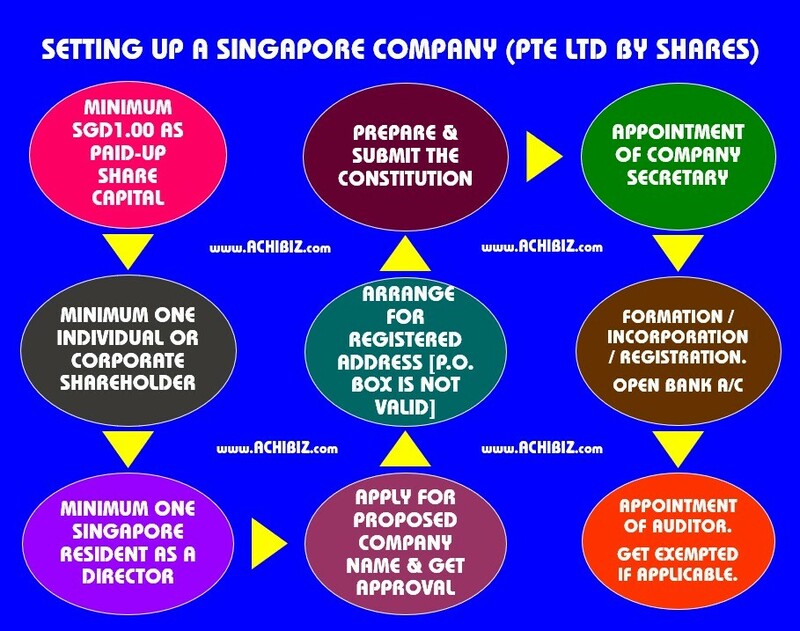 The term “Pte Ltd.” or “Private Limited” is added as suffix in the name of the company. 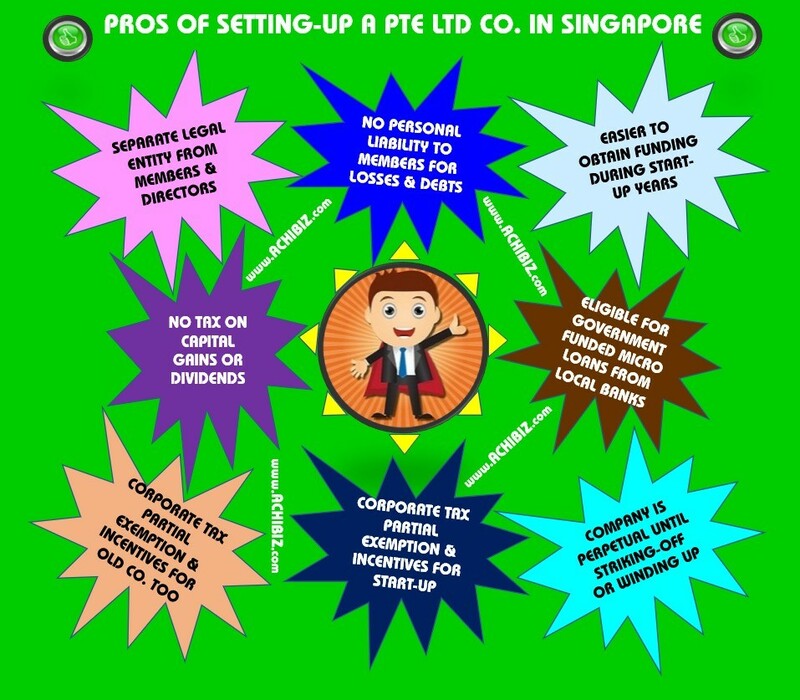 Foreign entrepreneurs can establish a private limited company, but with a Singapore Citizen or Singapore Permanent Resident as a local director. 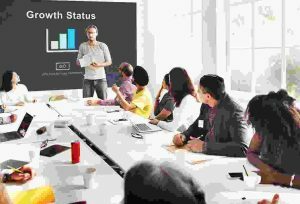 For a business with significant growth plans and takes business risks invariably and comes out with growth, this kind of entity is best suited to set up a business. 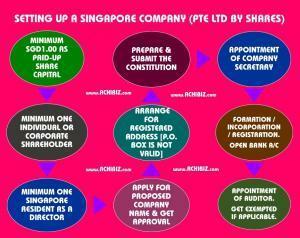 worth of paid-up capital (also known as share capital) to register your Singapore Company. 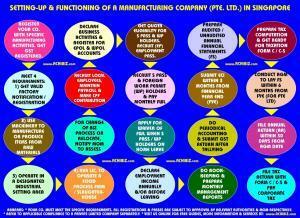 This capital amount can be increased at any time after once the company is incorporated. Your proposed company name needs to be approved. You need to appoint a minimum of one local resident who is a Singapore Citizen (SC) or Singapore Permanent Resident (SPR) as director. An unlimited number of additional resident or non-resident directors can be appointed as well. Both resident and non-resident directors need to be at least 18 years old, not bankrupt, and free of any malpractice charges in the past. Your proposed company can have between 1-50 shareholders, which / whom may or may not be directors. Shareholders can consist of both resident and non-resident individuals or companies and 100% non-resident shareholding is allowed. 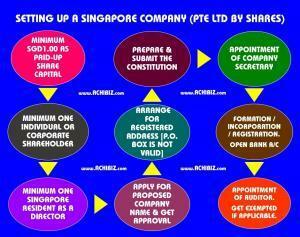 After a Singapore company is incorporated, shares can be freely issued or transferred at any time. Within 6 months of incorporation of your Singapore Company you are required to appoint a qualified Singapore resident as Company Secretary. 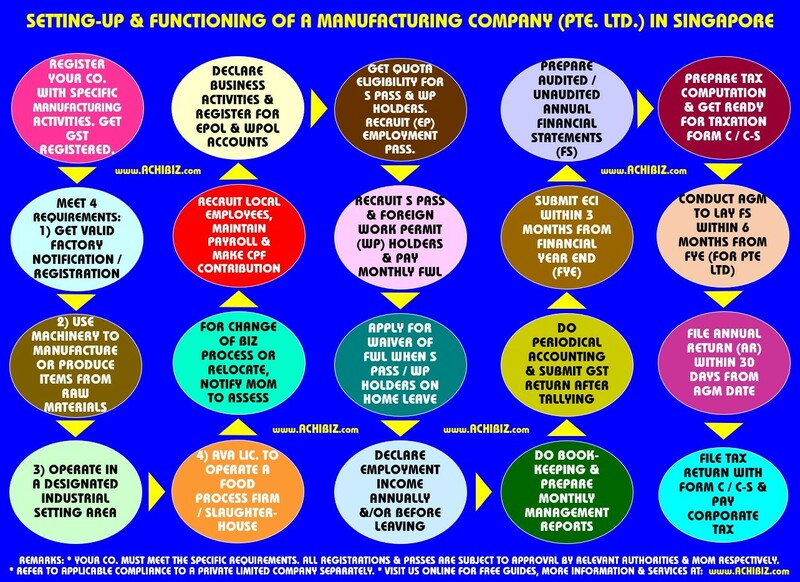 Sole director and/or shareholder cannot act as the company Secretary. 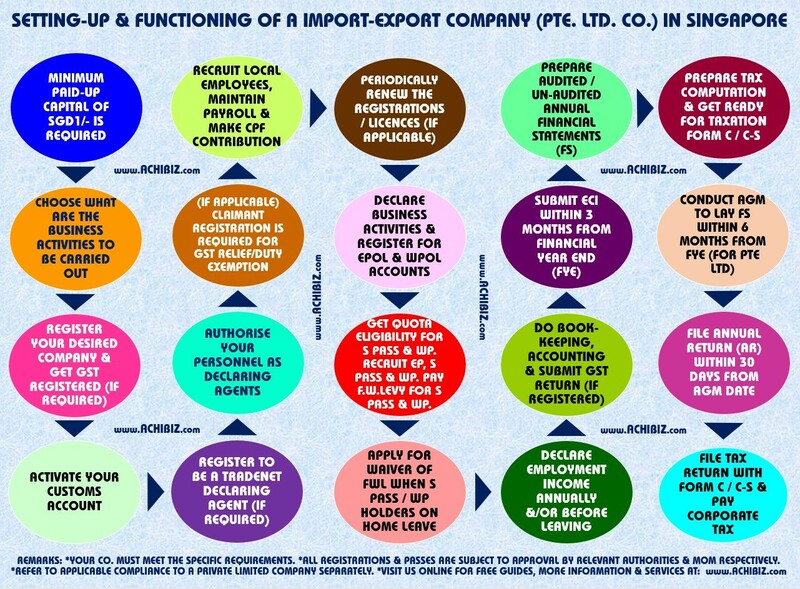 A physical Singapore registered office address is required which can be either residential or commercial but P.O. Box is not allowed. To use residential address as registered office address you are required to obtain Home Office Scheme licence from HDB and URA for public and private residence respectively. The physical presence of Singapore residents is required for all officers and shareholders to sign the required documents in front of us. 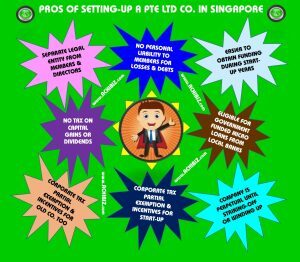 As a non-resident individual or entity cannot self-incorporate a company under Singapore law hence you are to seek a profession firm’s service to do it. 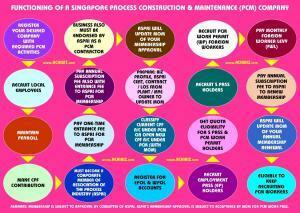 Singapore work pass is not required to be obtained if you are operating your company from overseas. 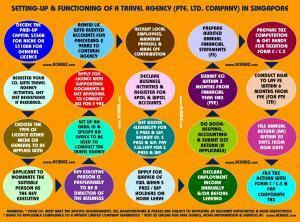 On a visitor visa you can attend to company matters on a short-term basis. A local resident director is to be appointed to meet out the criteria of minimum one local resident director which we can provide on your behalf. This local director is called Nominee Director who does not usually involve in any operational activities. 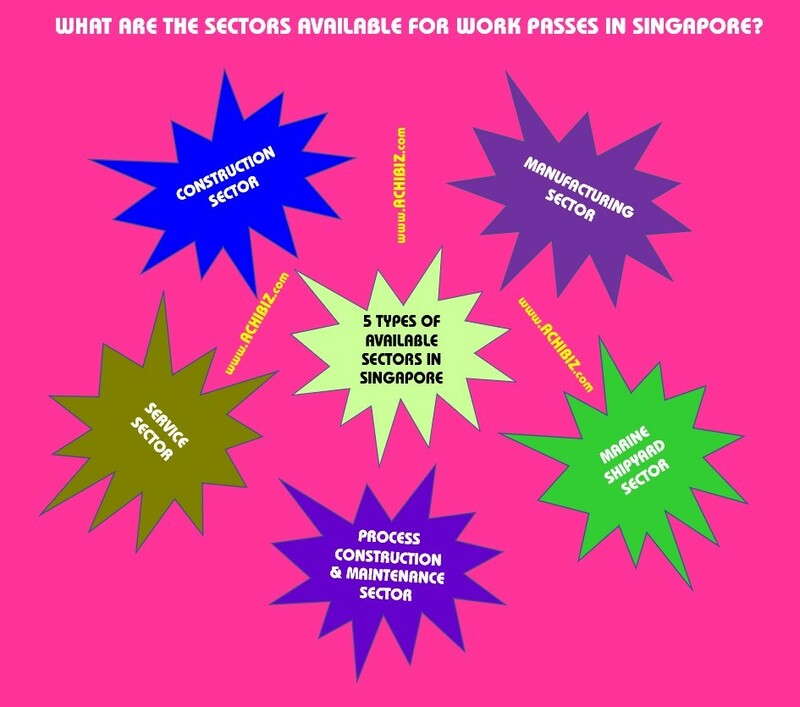 You are required to obtain an EntrePass (Entrepreneur Pass), which will allow you to act as the local resident director of your company if you intend to move to Singapore in order to physically operate your company. 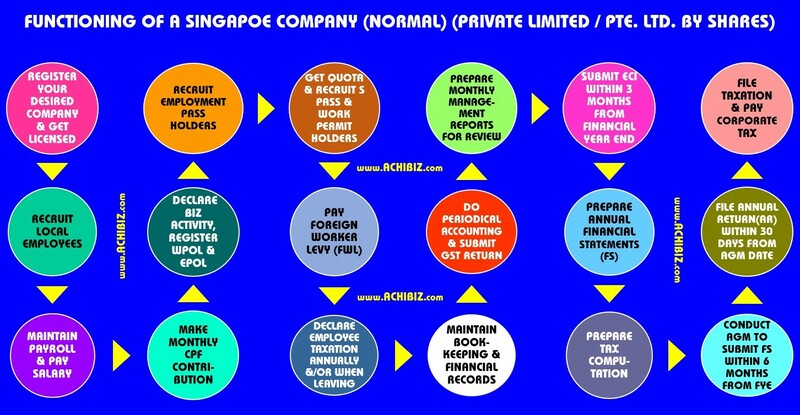 Without being present in Singapore, company incorporation and work pass formalities can be handled unless you require to open a bank account with Singapore bank. For non-residents: Copy of passport, proof of overseas residential address, as well as Know Your Client (KYC) particulars such as reference letters from banks, personal and business profiles, etc. Any non-English documents are required to be translated into English with official endorsements. The Net Profit up to SGD100,000/- each year for the first three consecutive years are 100% exempted and a further 50% exemption on the next SGD200,000 of normal chargeable income which translates into a huge savings of SGD51,000/- in the first 3 years while establishing the businesses in Singapore till the Year of Assessment 2019. From the Year of Assessment 2020 for the first three years of assessment it is at 75% exemption on the first SGD100,000 of normal chargeable income; and a further 50% exemption on the next SGD100,000 of normal chargeable income. 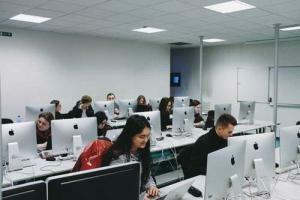 Till the end of the Year of Assessment 2019: From the fourth year onward the company is entitled only for partial tax exemption. The tax rate is at 4.25% and 8.50% on the first SGD10,000 and next SGD290,000 respectively of normal chargeable income; and beyond first SGD300,000 the prevailing rate at 17% is applicable. Effective from the Year of Assessment 2020: From the fourth year onward the company is still entitled for partial tax exemption. The tax rate is at 4.25% and 8.50% on the first SGD10,000 and next SGD190,000 respectively of normal chargeable income; and beyond first SGD200,000 the prevailing rate at 17% is applicable. Attractive tax exemptions and incentives. Your company is NOT required to pay any tax amount on the Net Profit for the first SGD100,000/-, whereas at 8.5% and 17% for the next SGD200,000/- and beyond first SGD300,000/- respectively till the Year of Assessment 2019. From the Year of Assessment 2020: Your company is required to pay the tax at 4.25% on the Net Profit for the first SGD100,000/-, whereas at 8.5% and 17% for the next SGD100,000/- and beyond first SGD200,000/- respectively effective from the Year of Assessment 2020. 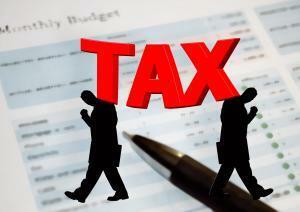 Singapore companies do not have to pay taxes on capital gains or dividends. 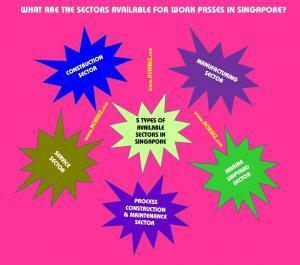 Click here to learn more about Advantages or Pros of all types of Entities in Singapore. 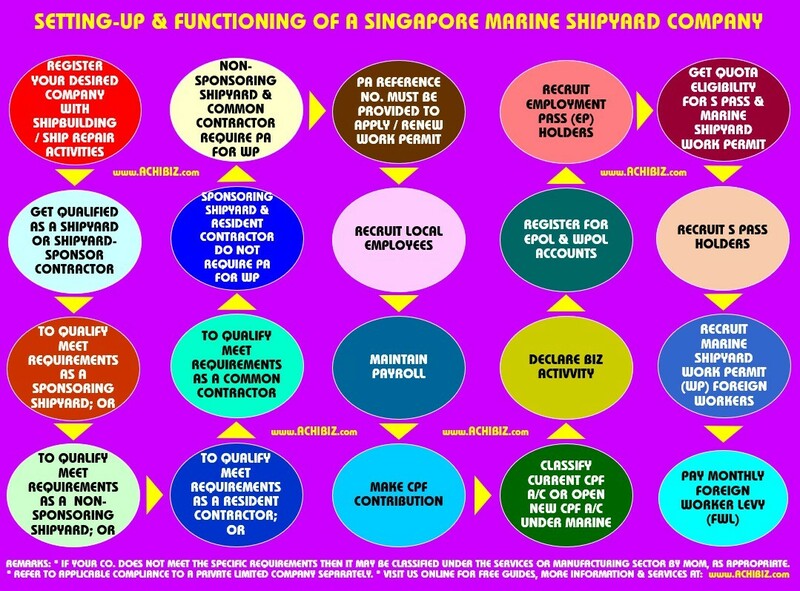 Click here to learn more about Disadvantages or Cons of all types of Entities in Singapore. We can arrange for you to open bank accounts with major banks in Singapore once the company is successfully incorporated. 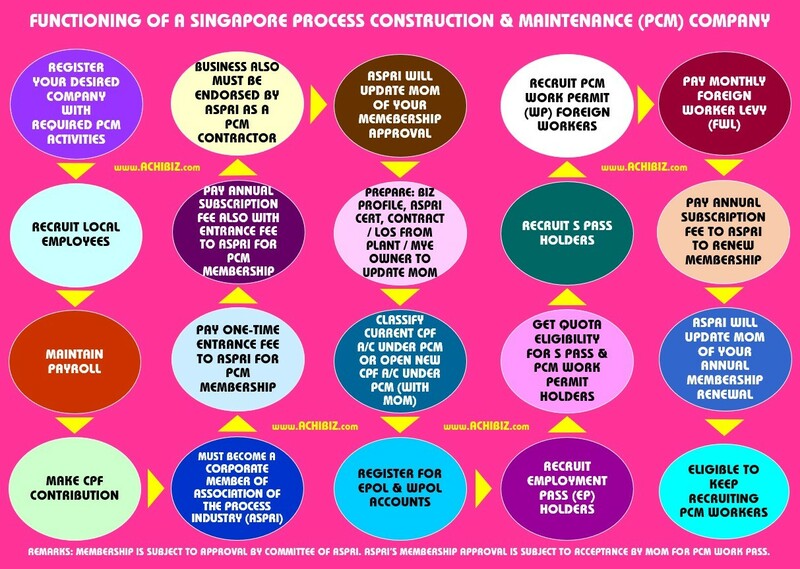 The physical presence of the company officers are mandatory as part of the account opening procedure by most of Singapore banks. 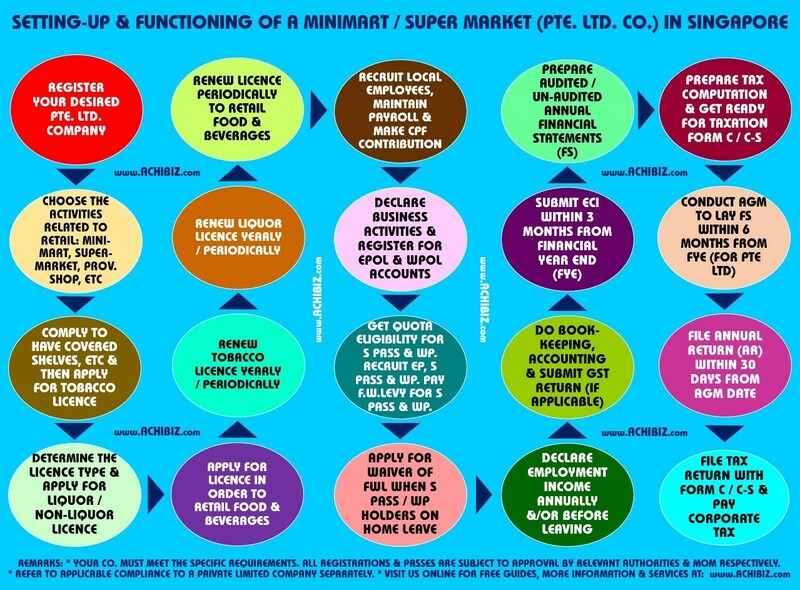 When you are unable to meet this requirement then you are to choose a bank which does not make the physical presence as mandatory. Every company in Singapore must appoint / hire a Singapore resident as company secretary who must have knowledge as well as experience to discharge his or her functions as the secretary of company. Every company in Singapore needs to have an office registered in Singapore that must be open at the same time accessible to the public during the normal office hours. The Company has an option of having their preferred number of local as well as foreign directors. Nevertheless, it must have at least a director who is an ordinary resident in the country of Singapore i.e. Singapore Permanent Resident or Singapore Citizen. 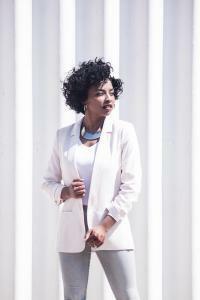 Anyone that is above the age of 18 can be appointed as the director of a company. However, some individuals such as bankrupts may be disqualified from holding office as director. Companies, unless exempted, are required to hold an Annual General Meeting (AGM). All companies must file their annual return within 7 months after the closing of the financial year end (FYE). With effect from 31 March 2017, companies, foreign companies and LLPs (unless exempted) are required to maintain beneficial ownership information in the form of a register of registrable controllers, and to make the information available to public agencies upon request. With effect from 31 March 2017, Companies are required to keep a register of its nominee directors containing the particulars of the nominators of the company’s nominee directors and produce the register of nominee directors and any related document to the Registrar, an officer of the ACRA or a public agency, upon request. All companies must maintain with ACRA an electronic Register of Members (EROM), which is a listing of all shareholders. 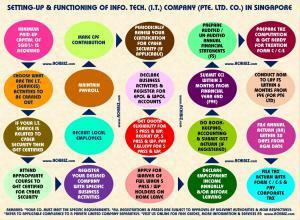 This information is updated whenever a company files a registration of share ownership or changes in share ownership. All companies’ Electronic Registers of Members are available for purchase by members of the public from ACRA. Similarly, companies must maintain electronic registers of directors, secretaries, auditors and CEOs with ACRA. Companies are required to update ACRA within 14 days after changes in appointments. Companies are required to update ACRA within 14 days of any changes to the company’s name, address and business activity. Companies are required to update ACRA within 14 days of any changes to the personal particulars of company officers including Secretaries and shareholders. 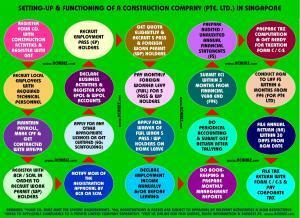 Every company in Singapore must always fix the financial activities at the end of the year (FYE). If a company is in form of a subsidiary, its FYE must also coincide with year-end financial statements of its holding company. Under section 205 of the Companies Act, the directors of a company are required to appoint at least one accounting entity to be the company’s auditor within 3 months of the company’s incorporation. 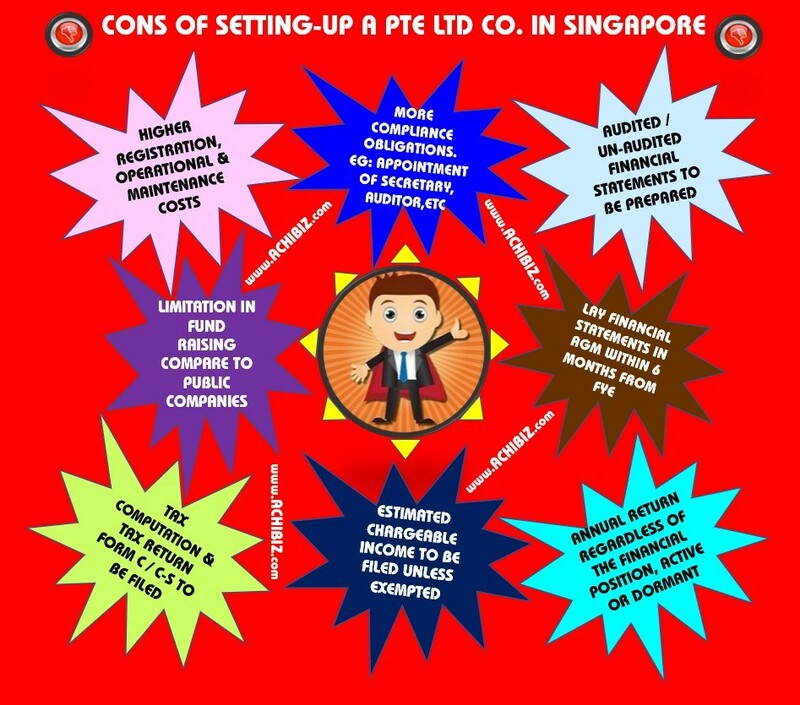 In Singapore, only public accountants or accounting firms approved by the Accounting and Corporate Regulatory Authority (ACRA) can act as company auditors. Auditors will hold office from the time of their appointment until the conclusion of the company’s next annual general meeting (AGM). Therefore when a newly-incorporated company first appoints an auditor, this auditor will hold office until the conclusion of the company’s first AGM. Then during the first AGM, the company will have to appoint a new accounting entity (or reappoint the same accounting entity) to act as the company’s auditor until the conclusion of the next AGM. This auditor will then hold office until the conclusion of the company’s subsequent AGM, and so on and so forth. If the directors fail to appoint a company auditor, any company member may apply to the Registrar to have it appoint an auditor for the company instead. Companies that are regarded as a “small company” for a particular financial year, or are dormant, are exempt from audit requirements. These companies therefore do not need to appoint auditors (or have their financial statements audited) for that financial year. The company does not have more than 50 employees. 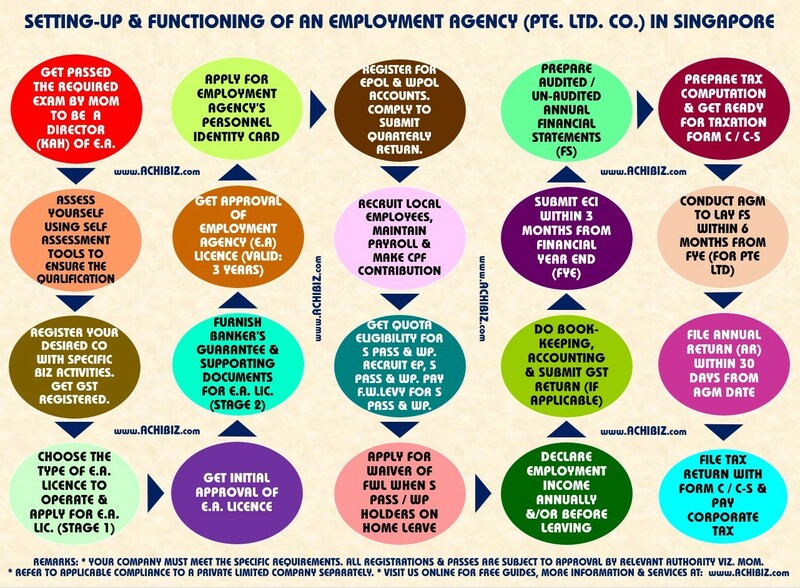 Refer to the Thirteenth Schedule of the CA for the criteria that companies incorporated for less than 3 years, or incorporated before 1 July 2015, have to meet in order to be considered a “small company”. It has been dormant since the end of the previous financial year. A company is dormant during a period in which no accounting transaction occurs. 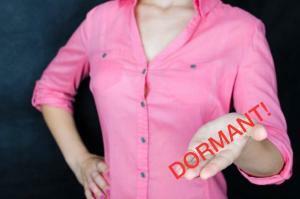 Dormant companies will cease to be considered dormant once such an accounting transaction occurs. Laying of its financial statements at its AGM (section 201 of the CA). This is known as the VAT or Value Added Tax in some other countries, and this means that GST is another consumption tax, which is levied on supply of goods as well as services as well as the import of these goods into Singapore. GST is another indirect tax and often expressed in terms of percentage (current rate at 7%) and it is applied to selling price of goods as well as services provided. 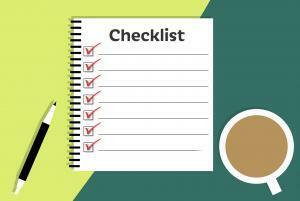 You will remit the net amount after setting off with allowed input taxes on your purchase, etc to the tax authorities. 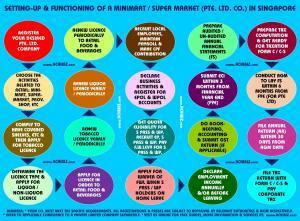 GST is neither income nor expense as you will be collection agent on behalf of Government from the consumers. This means that you need to register your company if you want to have humble time enjoying the types of services that you offer to your customers. The net turnover is over SGD1 million in the past 12 months or known as retrospective basis. There is enough reason to expect its net turnover to exceed SGD1 million in the next one year (12 months) also known as prospective basis. The corporate tax rate is at 17% currently. Tax will only be imposed at the corporate level and Singapore dividends in the hands of the company’s shareholders are tax exempt. The Net Profit up to SGD100,000/- each year for the first three consecutive years are 100% exempted and a further 50% exemption on the next SGD200,000 of normal chargeable income which translates into a huge savings of SGD51,000/- in the first 3 years while establishing the businesses in Singapore till the Year of Assessment 2019 i.e., till the date 31-December-2018. From the Year of Assessment 2020: Exemption at 75% on the first SGD100,000 of normal chargeable income; and a further 50% exemption on the next SGD100,000 of normal chargeable income for the first three years from the date of incorporation. After completion of first three years, from the fourth year onward, the company is entitled with partial tax exemption. 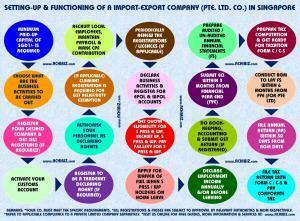 Intended activities of the company may or even may not need a business licence. Whenever your company needs a licence, the managers must apply to obtain all necessary approval prior to commencing offering products or services through their business activities. You can commence your business operations only after obtaining one or more business licences which depends on the nature of your businesses. Employment agency, educational institutions, restaurants, travel agencies, financial services, import-export related trades, etc. 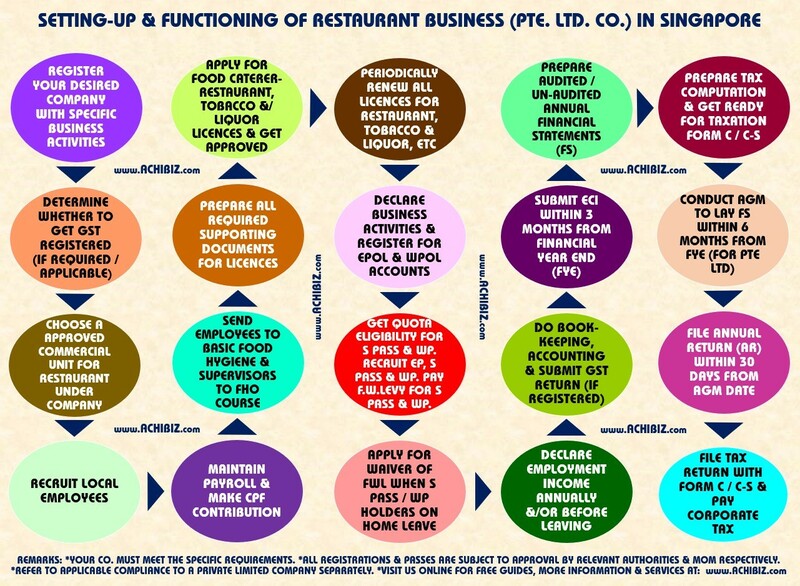 are falling under this category as some examples to be applied with specific licences. Every company must always keep accounting as well as other records essential to explain their transactions as well as their financial position and to allow for a profit and loss account before preparing a balance sheet. 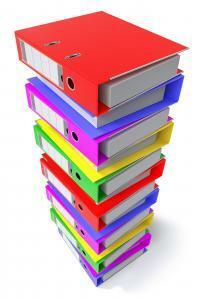 These accounting records need to be kept for five years after completion of the essential operations or transactions. Each director has a right to inspect these accounting records at any time. Every time change occurs in particulars of company or even to its officers and shareholders, changes must also be lodged with the Registrar of Companies and on failure, this will always incur penalties. 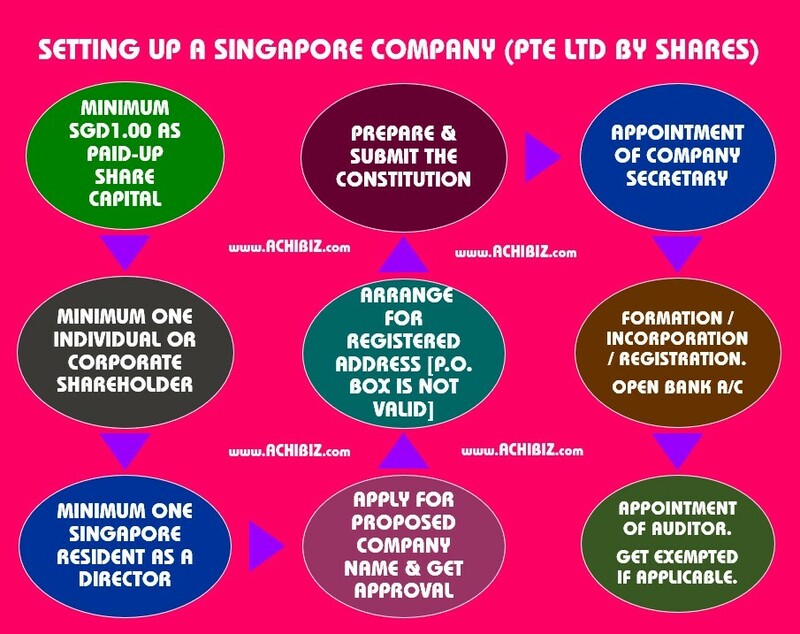 Singapore Companies Act at the moment requires each company to have its registration number together with registered name in all the business letters, invoices, official notices, publications and statements of account. 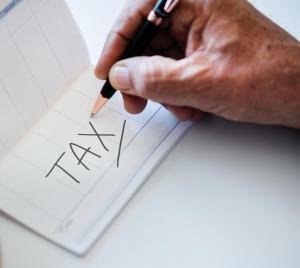 This means that the company must always fill the corporate tax returns, or apply for the permits or the submitting CPF contributions of their employees. All companies are issued with Unique Entity Number [UEN] by the regulatory authority. An AGM is a mandatory annual meeting of shareholders. At the AGM, your company will present its Financial Statements (also known as “Accounts”) before the shareholders (also known as “Members”) so that they can raise any queries regarding the financial position of the company. If you are a listed company, you must hold an AGM within four months after your company’s financial year end and file the annual return within five months after your company’s financial year end. If you are not a listed company, you must hold an AGM within six months after your company’s financial year end and file the annual return within seven months after your company’s financial year end. You must hold the first AGM within 18 months of the date of incorporation. The financial statements you present at an AGM must be made up to a date not more than four months before the AGM, if you are a listed company. For non-listed companies, it must be made up to a date not more than six months before the AGM. With effect from 31 August 2018, private companies can be exempted from holding AGMs if they send their financial statements to their members within five months after the financial year end. 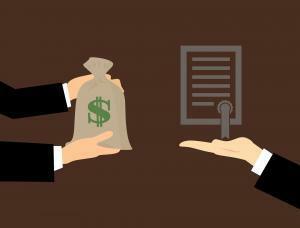 Private companies must hold a general meeting to lay financial statements if any member or auditor requests for it no later than 14 days after the financial statements are sent out. Directors must, within 14 days after the date of request, hold a general meeting to lay the financial statements. Private dormant relevant companies*, which are exempt from preparing financial statements, do not need to hold AGMs, subject to the above safeguards. *A private dormant relevant company is a private company which is dormant, not listed (or not a subsidiary of a listed company); and has total assets less than or equal to $500,000 (consolidated value if it is an ultimate parent). A private company need not hold AGMs if all the members pass a resolution to dispense with the holding of annual general meetings. Companies may pass written resolutions for matters that would have been tabled at an AGM. 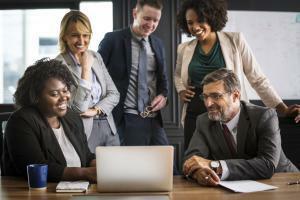 The written resolutions may be circulated via hardcopies or other legible form (such as e-mails) as agreed upon by the company and the members. You can apply for an Extension of Time (EOT) of up to 60 days, if you need to delay holding the AGM or filing the annual return. 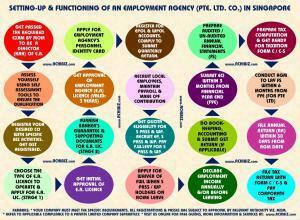 An EOT application can be made by a company officer (e.g. company secretary or director), or by a professional firm on behalf of your company. The application fee is $200. 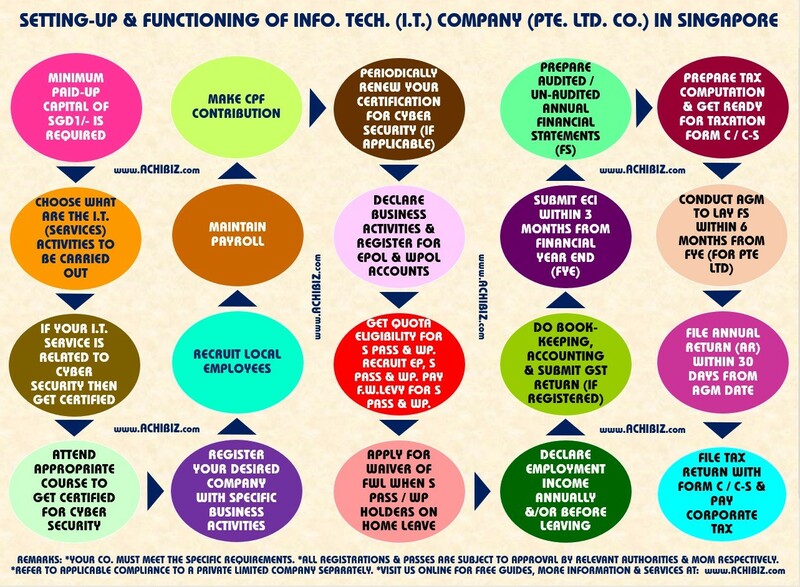 Provide the reasons for the application (Listed companies are to attach the reasons for the application, along with any relevant documents, including any comments by SGX on the application). Once the EOT application is successfully submitted, a confirmation email will be sent by ACRA to the person making the application. Click here to learn more about AGM (Annual General Meeting) & AR (Annual Return). 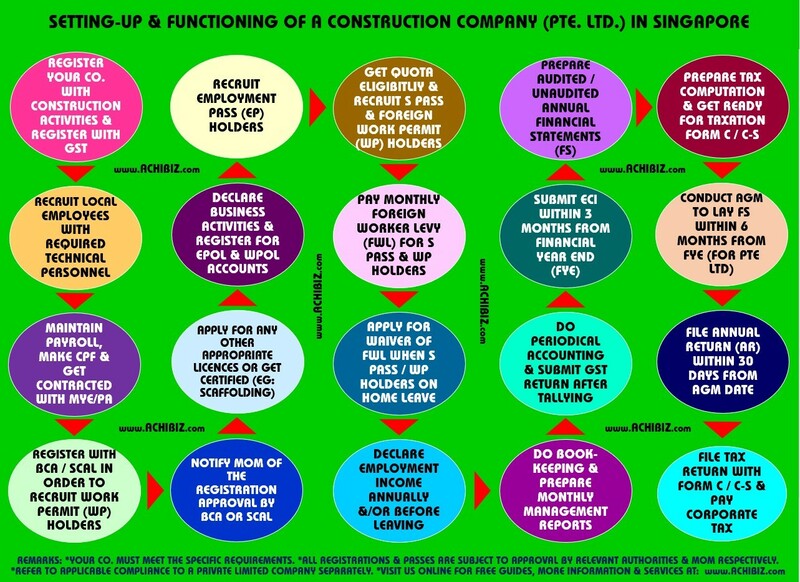 Every company in Singapore must file its Annual Return in its appropriate due date with the Company Registrar otherwise this will incur penalties. after FYE for private dormant relevant company that is exempted from preparing financial statements. · c) Unless otherwise approved by the Registrar, the duration of a company’s financial year must not be more than 18 months in the year of incorporation. · d) Only FYE of the current and immediate previous financial year may be changed (provided that statutory deadlines for the holding of AGM, filing of annual return and sending of financial statements have not passed). A company’s financial periods starting on or after 31 Aug 2018 by default will be taken to be a period of 12 months for each financial period. · Companies with an unusual financial year period (e.g. 52 weeks) should notify ACRA via the notification of change of FYE if they want to avoid applying for approval to change FYE every year. · Companies incorporated before 31 August 2018 have their FYE deemed by law to be the anniversary of the date previously notified to the Registrar as their FYE date. In the absence of such notification before 31 August 2018, the anniversary of the date of incorporation is deemed by law to be their FYE. Companies can change their FYE by notifying ACRA before or after 31 August 2018.